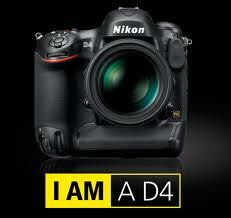 I’ve fallen in LOVE.I’ve just found out that NIKON has released a new camera aimed at Pro’s. I’ve always said that I wanted the D3S. I must say that the D3 range is nothing compare with this baby. – 16.2 Megapixels and Expeed 3 processor. The Expeed technology allows for an incredibly fast and shooting at considerable speeds, even for fast moving objects. – Advanced Scene Recognition with 91,000-pixel RGB sensor, so it can analyse the scene and capture images to deliver outstanding accuracy. – 3-D capabilities will find small images and subjects even when shooting is done in low light conditions. It is safe to say that this camera was built with the professional Photographer in mind. Nikon has thought of everything including some of us that are always on the go. The D4 also provides support for iPhone and iPad, so you can plug these devices to see any image that you camera is focused on. Saving time for having to drag heavy laptops around. You will also be able to control several functions and features including recording, capturing an image and recording a video. 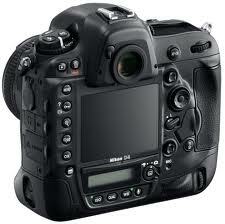 This camera also comes with backlit buttons that is very convenient for shooting in poorly lit areas or at night. With all theses features, the camera does not come cheap. it’s marketed at £4,779 for the body. On that note have a wonderful week. Will post reviews soon. iPad 3 – A breakthrough or just another tablet??? ?